Cadet Captain Amanda Beller was interviewed on the radio twice this past Thursday morning along with our Admissions Director, John Dolan. 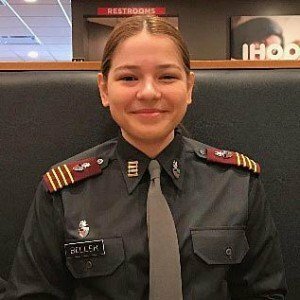 Cadet Beller spoke about her experiences as a female student at the academy (where she is the third highest-ranked cadet) and her future goals of Navy ROTC and Aerospace Engineering. She said that you have to set the bar high if you want to achieve big goals (she is in the process of being accepted to Princeton).